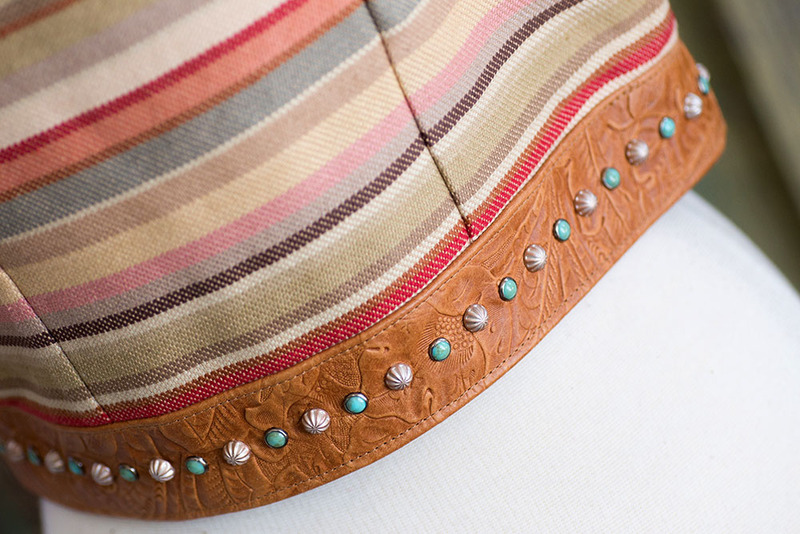 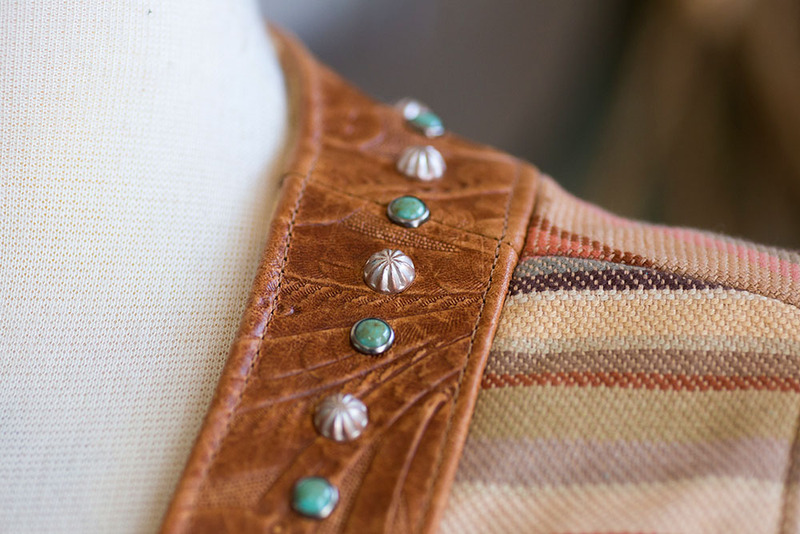 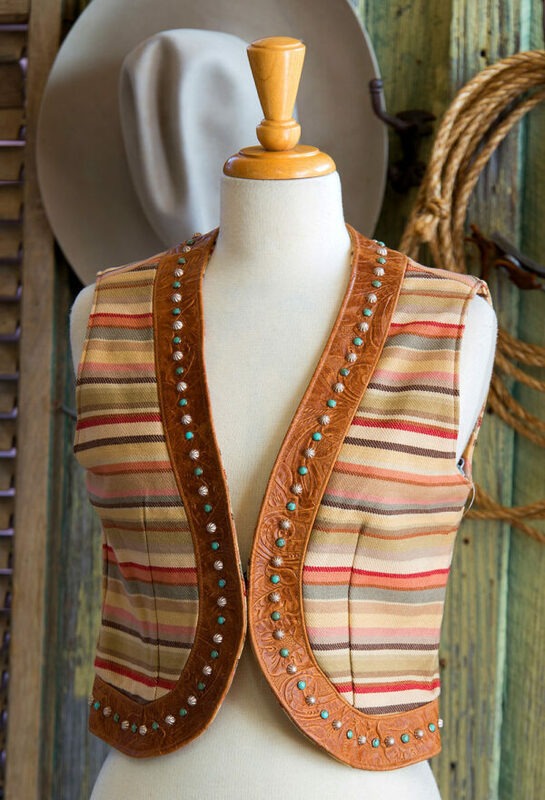 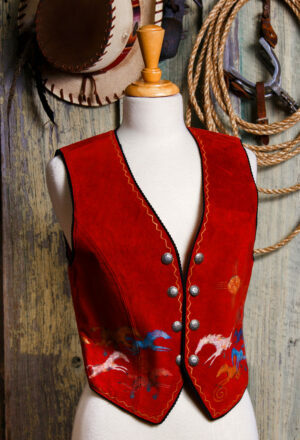 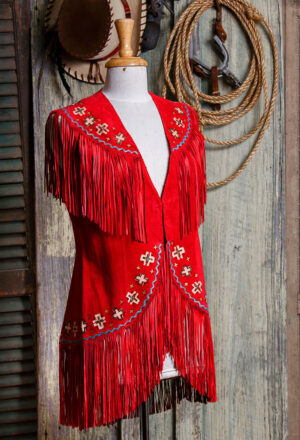 Bolero Vest in Spring Serape, with leather facings that are embossed with a delicate floral print. Finished with pearlized fluted studs and turquoise colored stones. 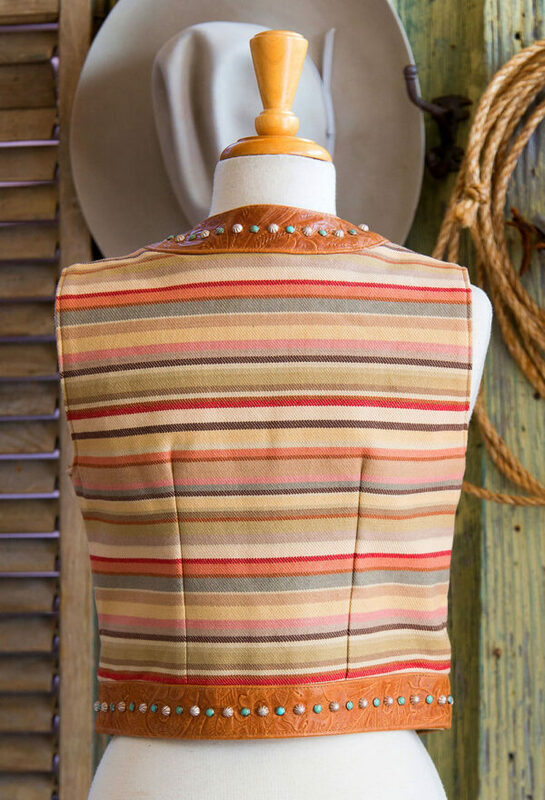 Hits just below the waist with hook & eye closure.